Gardel Hair Restoration is pleased to announce that they possess the best hair transplant doctors in Mexico and Tijuana. In fact, their doctors offer some of the most precise and unparalleled services and techniques in the industry. Therefore, for those who are losing their hair due to a medical issue or genes, it’s time to grow that hair back with Gardel Hair Restoration’s state-of-the-art procedures. Their team of doctors possesses the knowledge, skills and expertise when it comes to hair transplants. Patients can feel safe in the hands of these doctors since they’ve been around for over 15 years. What’s more, they’ve had more than 7,000 satisfied patients from around the world. Last but not least, by merging science, fine art as well as the latest technology with every procedure, they offer a medical expertise that achieves natural looking results starting from the very first session. Choose from their Harvesting Techniques, Trichophytic Closure Technique, Follicular Unit Techniques (FUE), Mixed Extraction, as well as Implantation Techniques. They’re guaranteed to meet every patient’s expectations. Plus, the results will shock patients and once they show others their newly grown hair; the word will spread about Gardel Hair Restoration services. As far as their procedures go, their Trichophytic Closure Technique will achieve a nearly invisible linear scar. Their FUE technique consists of harvesting individual follicular units form the donor area. As for their Mixed Extraction technique, it’s a recently developed technique that allows a greater number of grafts. To learn more about their techniques and how they are performed, check out their website today. 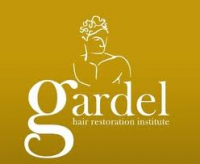 Gardel Hair Restoration is a hair loss institute that specializes in hair transplants for both men and women. By using the latest technology, this institute leaves their clients without visible scars, without pain and guaranteed permanent results.